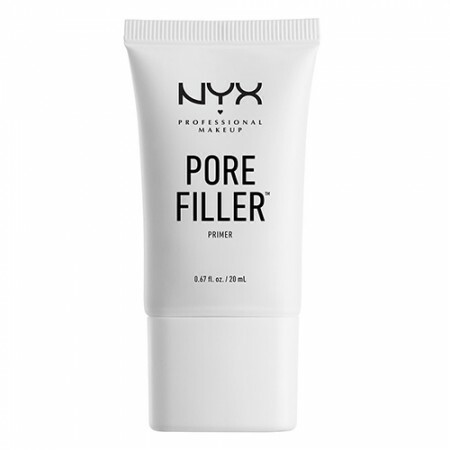 Pass the Pore Filler, please! Our vitamin E-infused formula helps to minimize the appearance of pores and prep your complexion for smooth makeup application. Yep, this go-to face base is also formulated without oil or talc. Ingredients: Dimethicone Crosspolymer, Silica, Dimethicone, Cyclopentasiloxane, Isononyl Isononanoate, Isododecane, Polymethyl Methacrylate, VP/Hexadecene Copolymer, Trimethylsiloxysilicate, Phenoxyethanol, Caprylyl Glycol. MAY CONTAIN (+/-): Mica, Titanium Dioxide (CI 77891), Iron Oxides (CI 77491, 77492, 77499).